I arrived in Colombo alone at 04:20 having travelled from Heathrow where the temperature was -1C, in Colombo it was 20C. I was collected by Jith our ground-agent and we drove in the dark to the Euro Star Hotel to collect our clients who had arrived the night before. It took 15 minutes to get to the hotel, we all met up at 6:30 and went to breakfast. 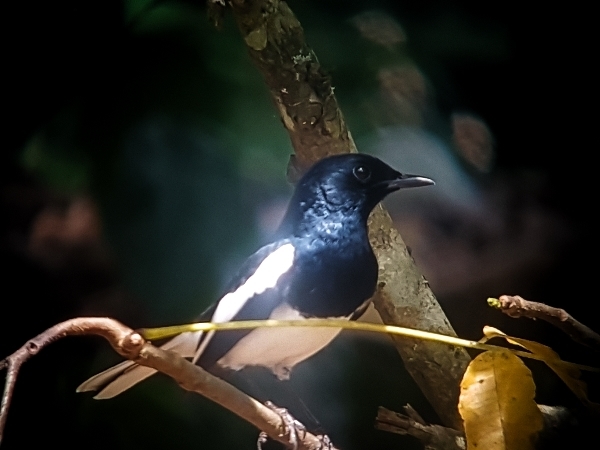 In the meantime it got light and birds began to appear in the hotel grounds, we noted Common Mynah, Spotted Dove, White-bellied Drongo, Purple-rumped Sunbird, and a Great Egret flew over the hotel. 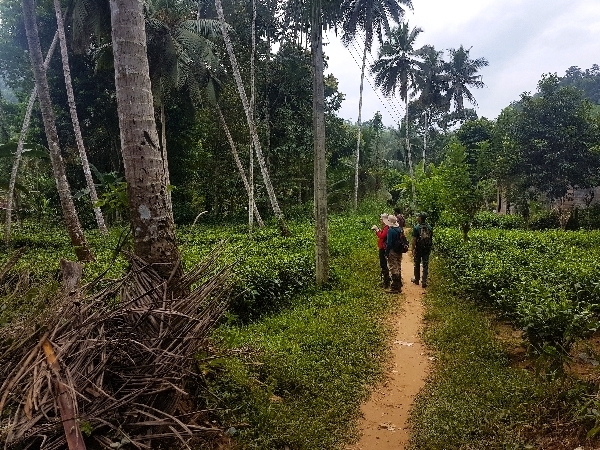 Immediately after breakfast we met our guide Haman who showed us a roosting Collared-Scops Owl and an Asian Koel before we boarded our minibus for the journey to Kithugala. We made a few stops along the way especially in the rice fields about 15 minutes into the journey. We stood on a bridge over a small river and scanned the area of the rice fields, birds were everywhere. House Crows were present in huge numbers and the sky was full of swifts and swallows we logged Asian Palm Swift, House Swift (aka Little Swift) also Barn Swallow, we then went onto to see Black-hooded Orioles, Lesser Whistling Ducks, White-throated Kingfisher, Blue-tailed Bee-eater, Yellow-billed Babbler, Red-wattled Lapwing, Little Cormorant, Intermediate Egret, Indian Pond Heron and a beautiful White-naped Woodpecker. 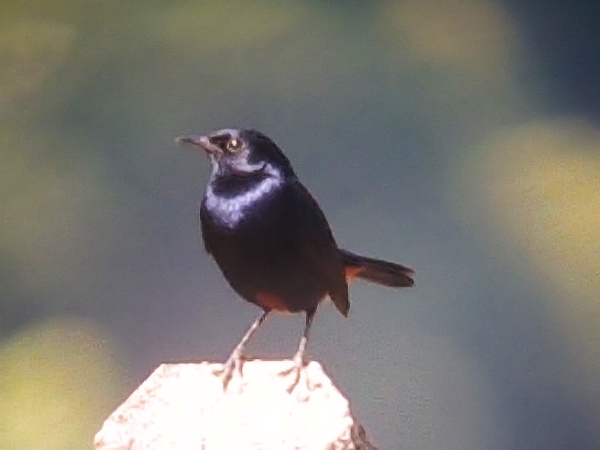 The next two stops produced more goodies such as Ash-coloured Prinia, Zitting Cisticola, Scale-breasted and White-rumped Munia and two stunning Brown-headed Barbets. A couple of impromptu stops produced Crested Serpent Eagle, more White-throated Kingfishers, Indian Robin, some Toque Monkeys and a few Red-vented Bulbuls. We arrived at our hotel around 10am and quickly checked -in and after a short break we re-assembled in the car park at 11am. It was now very hot with a bright blue sky, so bird activity was greatly reduced. 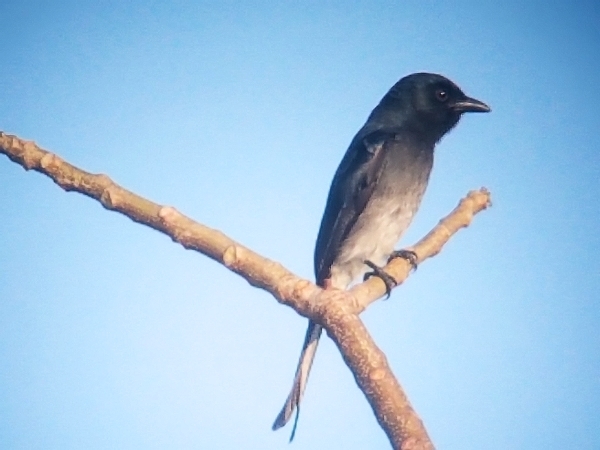 Nevertheless, we saw quite a few birds and a couple of endemics too! The endemic Hanging Parrots were coming down to drink from a drinking tray that was placed in a tree we then had excellent views of the endemic Sri Lanka Grey Hornbill, we also saw Black Bulbul, Oriental White-eye, Purple-rumped Sunbird, Indian Robin, Oriental Magpie-Robin and lots of common Bulbul species. A long lunch ensued, in fact, fell asleep for nearly four hours! We met up again at 3pm for our afternoon excursion which started really well and ended as a complete washout. 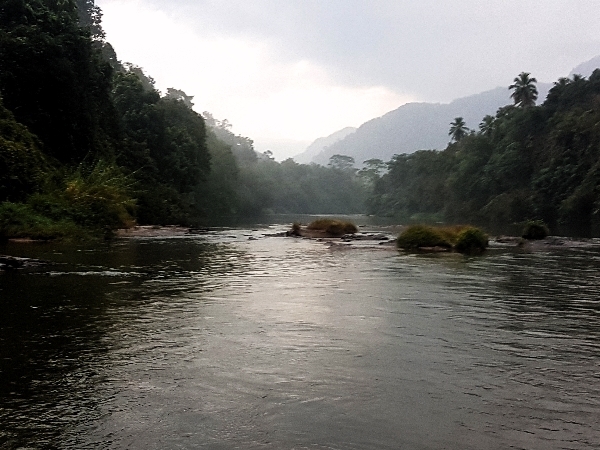 The hotel overlooks a beautiful river with some outstanding scenery, we had to cross the river to get to the forest track. The ferry was a tiny converted canoe that had a small platform with handrails where we stood whilst we were rowed across the river, an Asian Openbill Stork and a Little Cormorant were the sightings of the crossing. Birds came thick and fast over the next hour we enjoyed many new sightings and some wonderful scenery. The Common Tailorbird was a nice sighting quickly followed by Tawny-breasted Babbler and a Flame-backed Woodpecker. 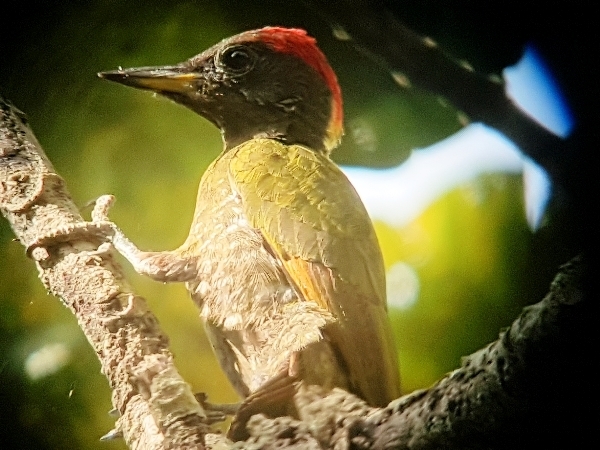 We then almost immediately found a second Woodpecker, the Lesser Yellownape. 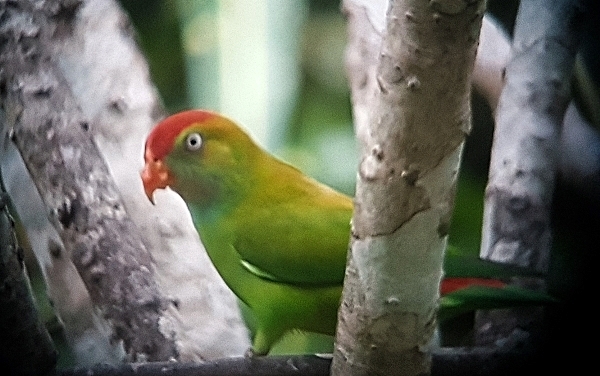 We went on to look for a couple more endemics and found several exciting, colourful species including the endemics. The Common Iora and the Black-hooded Oriole provided the colour before we found Orange-billed Babbler, which showed very well, we saw a party of five, then after watching a couple of Yellow-browed Bubuls we found a Yellow-fronted Barbet. It started to get dark as the cloud thickened but we continued up into the forest, it was a long climb up and the only bird we saw was a Malabar Trogon. Then it started to rain, not just pitter-patter but a real rain-forest downpour, we got soaked to the skin as we made a dash back, having walked for a kilometer it took a while, we were drenched. It was so nice to get into the shower and put on dry clothes. We met again at seven for the bird-log and then dnner.